Merlin Events hosted their Best of Brexit event on March 1st to relaunch the Riverside Rooms and the private hospitality on the London Eye. The Riverside Rooms are located on Southbank and overlook the River Thames. 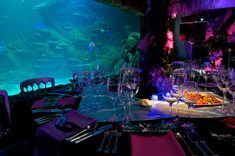 With fantastic views of the London Eye and Big Ben, the rooms have a great backdrop for any event! This venue has recently had some refurbishments including a fully fitted cloakroom, with further refurbishments on the way to make the rooms even more amazing! As well as being a catchy name, Best of Brexit celebrated London’s diversity and multiculturalism. Guests were treated to a trip around the globe with Asian-inspired food and entertainment, right the way through to a Russian Vodka Bar (and of course a speakeasy Gin bar for London). The event sold out within 10 minutes and attracted over 250 guests! Attendees were from event agencies, catering companies, the media and press. 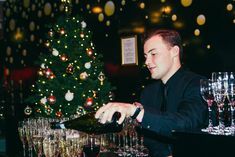 The event was put on to show case the new London Eye private packages and the Riverside Rooms as well as the fully refurbished Eye Lounge, as event spaces. Guests sampled the new canape menu on the Eye as well as the new per person champagne option. We also communicated the offering of the proposal capsule, Blue sky thinking capsule and the Family and friends capsule which are all new packages for guests wanting to book different types of private experiences on the Eye. After their London Eye experience, guests enjoyed the charm of the Grade II listed Riverside Rooms which exhibited the diversity of the event space as well as the new sleek cloakroom and VIP Experience check in area. The event gave us the opportunity to introduce a wider offering of hospitality options to a larger event agency community. The event started off with guests arriving to a Pommery champagne reception from the Eye Lounge, followed by an exclusive trip on the London Eye to taste the new canape menu from one of London’s top caterers, Rhubarb, whilst enjoying the views of the city’s skyline at night. After guests disembarked they were lead up to the Riverside Rooms to experience different cultures from around the globe! Each room had a different theme and cuisine to accompany it. Guests experienced an Asian fusion with sushi and Chinese favourites such as spicy beef and spring rolls. The next room was themed Baltic style with firm favourites meatballs served with fluffy mash. All courtesy of Food by Dish. The entertainment was a key part of the event and created a huge atmosphere and buzz in each room. There was a ribbon dancer accompanied by a drum percussionist in the Asian themed room as well as a man-made dragon that entertained guests by mingling with the crowds. The Baltic themed room hosted some very energetic Cossack dancers who were very big crowd pleasers and a great addition to the event throughout the night! A big thank you to Sternberg Clark for helping with this. Expectations of the guests were met through the surprise element of the event! We used social media to release teasers of the event to our followers but didn’t reveal much about what we had in store in order for guests to be utterly surprised about what they were to encounter! An ‘around the world’ theme was used to post snippets of what we had planned. And surprised they were… the feedback we received from the event was very positive. As an event coordinator, this event is one that I will remember for a long time to come. The logistics of the event combined with the entertainment and catering elements were all carefully planned and thought out by the event manager and this showed on the night. As I am just starting out my career in the events industry, it was great to see such a lively event at the Riverside Rooms and I look forward to planning similar events with the team in the future! Rosie Leigh is an event coordinator with Merlin Events.